Did President Rodrigo Duterte just confess to being drug dependent? In the early morning hours of Tuesday, President Rodrigo Duterte indicated to a roomful of businessmen that he was highly dependent on the drug Fentanyl to manage his pain. “I had a bad sleep, the last one was this. And I hit the…I have a lot of issues with my spinal. My doctor would want to operate but you know my wife was a nurse and she used to work in the States, United States, and she said, since a lot of operations for the spinal that went awry, that went wrong. Fentanyl is a synthetic opioid, a substance which the British newspaper The Guardian described as “50 times more powerful than heroin”. It was an accidental overdose of Fentanyl that caused the death of the legendary musical star Prince in April this year. Here is an article in The Scientific American which explains why the painkiller Fentanyl can be “especially dangerous”. Fentanyl is not on the Philippine list of banned drugs, but it is a dangerous legal prescription drug that can give a high and also be abused. You can read more about Fentanyl abuse here. You can also read more about the deadly high that Fentanyl gives its users in this New York Times article. In his case, Duterte said, the dosage the doctor prescribed him to take was much lower: “I was only given a fourth of that square thing,” referring to a transdermal patch that is used to delivery the drug through the skin. From Duterte’s narration, it is not clear whether he has totally stopped using Fentanyl because he added, “Take, use it but I have a pain also with the…I have a Barrett…” Barrett refers to another physical ailment he has. Duterte would have to clarify this point, whether he continues to take Fentanyl, but in the prescribed dose, for his daily migraine. Substance abuse not only involves using shabu or cocaine. It can also take the form of abusing legal, prescription drugs. In Duterte’s case, he disclosed that he once took more Fentanyl than he was allowed to, in order to cope with pain caused by various ailments. Besides his “slipped spinal disc” and Barrett’s esophagus, Duterte said he also suffers from “Buerger’s disease” due to previous heavy smoking. Despite Duterte’s revelations of his various illnesses, the public really does not know the true state of the president’s health. I counted five times this year that Duterte was too ill to attend functions. The first time was on February 11, 2016 just as he was about to speak before a medical association. He blamed his dizziness and severe headache on bronchitis. Duterte said his headache was so severe “I wanted to puke”. The second episode was on August 26, 2016 when he skipped going to a policeman’s wake due to a severe headache. “I was supposed (to go) yesterday, but I had this spinal thing going crazy again. I had a migraine… I vomited in the morning so I said I could not make it. You can read about it in Philippine Star. The third episode took place on September 8, 2016 while President Duterte was attending an ASEAN summit in Vientiane. The fourth episode was on November 11, 2016 when Duterte was unable to join Kris Aquino who was hosting a summit of small businesses in Davao City that day. The official reason given was that the President had a migraine. Hours later, though, he was seen gracing another function. The fifth episode took place on November 20, 2016 in Peru. All we know is that the President was too ill to pose for the APEC leaders’ photo shoot and attend the gala dinner. He did meet earlier with Chinese president Xi Jinping and Russian president Vladimir Putin. Later, Duterte blamed it all on jet lag. That’s entirely possible, especially for a 71-year-old man. Still, you can see from the list below, drowsiness is one of the side effects of Fentanyl. The question is, how dependent is President Duterte on Fentanyl? Can he function without it or does he always need it? Where will Duterte get the funds for his infrastructure projects! He said “Goodbye America, we don’t need your money” after Millenial Clallenge aid to Philippines was deferred. US started to tie up their foreign Philippine aid with human rights and rule of law issues. Duterte refused to allow UN Rapporteur to investigate EJK killings. Govt loans for infrastructure development are sometimes loaned by World Bank facilitated by UN. What if UN put on hold its guarantee of Philippine loan because Duterte refused UN fact finding mission? Where will Duterte gets its funds? He claims China will give him $50 billion dollars. China will give him guns payable in 25 years. China militarized the shoals in West Philippine Sea. According to investigative news, Chinese gang drug lords are the primary suppliers of chemicals smuggled to the Philippines producing Shabu in illegal labs tended by Chinese chemists. In both instances, Duterte refused to discuss these subjects with Chinese officials. Duterte is killing all the Filipino pushers and addicts but does not want to kill the main Chinese suppliers. Compare this analogy. Imagine many water pipes in different direction have sprouted leaks. Duterte the plumber was temporarily patching the leaks but new leaks keep surfacing from the pipes due to oversupply of high pressure water. Yet, the recurrent water leak problem could be resolved better by turning off the main water supply. Very simple solution by confronting the main Chinese drug suppliers which Duterte doesn’t initiate because he did not want to offend Chinese officials or is there another reason? Why? Does he have associated conflict of personal interest in drug smuggling operations in the Philippines similar to Trump’s refusing to sell his business interest by making his children get involved in discussing government matters during presidential transition? Possible? Duterte has children too implicated in illegal drugs? Honest deal is to eliminate all possible sources of conflict of interest! Questions of bad intent abound when simple solutions are not engaged. He is mad at the Americans to the point of cursing Obama because his drug war scheme was criticized but he could not curse the Chinese officials for not preventing Chinese gangs to smuggle chemicals and produce Shabu in the Philippines. china gives digong heaven and earth, kaban-kaban na pera, armas , kagamitan at rehab centers na parang poultry farms, minsan the structures looks like piggeries from the air. chickens and pigs fattened for the market. in case of addicts, they’re cured only to be addicted again and the cycle goes on. 3months, promised ni digong he’d get rid of druggies and corruption. he failed big time, then 6months sabi niya uli. dati, drugs ang problema, ngayong corruption na with ka-frat niya ang silang nangunguna. drugs and corruption lumalago. the streets are cleared kuno of druggies only for the druggies to be shifted from streets and dens to be housed in structure like piggeries and chicken farms. druggies still abound only their location shifted. big money spend on druggies, the non contributing members of society, and for what? thank the lord for druggies, digong gifted china the whole of pinas territory. Duterte declared his war against drugs. Duterte refused to take issue with China officials over the smuggling of drug chemicals coming from China by Chinese gang? All small time Filipino drug lords have been curtailed or eliminated by Duterte drug war mostly in NCR and Visayas. Only the biggest Chinese drug lord Peter Lim and main distributor partner remain unscathed I’mn Mindanao. WHY is Duterte protecting Chinese Drug Lords? Who will be left behind as sole distributor of drugs in the Philippines from Chinese gang. This sole distributor base of operation is a city in Mindanao. aha, yong fentanyl addict yata. Remember the ending of Godfather saga, when Michal Corleone took over the mafia. Movie ending, every competitor was disposed of. If life imitates arts, so far the “drug war” is classic. “Jaguar Diaz, Bilibid convicts, Mayor Espinosa. Etc etc. Who are the untouchable survivors from down South who have been publicly accused as chinese drug lord and central supplier? Even their distributors in different places have survived. Open secret in every drug infested barangays. why? so, do you mean that war is war vs competition? argosino and Robles because they belonged to his legal team during the campaign. It’s also the reason that Sec Aguirre was defending his appointees( Argosino, Robles, Calima)in the beginning after Tulfo wrote expose in his column until he was surprised that there was a video of the incident. Why drag Morente’s name in the Jack Lam bribery scandal? Wally and the 2 commissioners discussed that he’s aware. Missing 18 million pesos speak for itself. Would #2 deputies and security chief be so brazen to extort a “whale” without the blessing of number one? Think about it or shall I say, ” tell it to the marines”. Rogue officials in office for 6 months putting up a caper behind the back of top honcho who could be blamed for fiasco upon discovery, which in all probability will be exposed because “it’s about illegal release of many illegal Chinese working aliens”. Yes. Saw that in the news today. we dont know if the fentanyl overdose has something to do with suicide. when people are depressed and want to end it all, fentanyl offers easy way out, fast and quick and not messy with all that gore. Federal Government . . . 2018. The ‘only’ solution? Solution to corruption? Many, including ‘groups of corrupt people’ will take advantage of this new version. No doubt. Will the Marcoses or any of them be potential elected members under the Federal Gov’t.? With their huge money wealth to splurge for leadership and their own rule? Is it possible and acceptable for approval if the Marcoses are prohibited to run or be appointed to any public governmental office? If in the affirmative, a 90% chance the Federal system might be approved nationwide. If not, a 50-50 chance will be the risk. Also, by expressly completing a prohibition clause for dynasties in public offices without need of a law by Parliament/Assembly? The above suggestions are part of the ‘only solution’ to corruption. Anong atbpa? Please do not propose for approval this federalism idea hurriedly without people knowing a lot on it. it cant be done, federalismo will not see the light of day. sawang sawa na ako sa mga promises of change ni digong. china ang nakikinabang at ang mga galamay ni digong, the rest only has immeasurable kahirapan. by 2017, our economy will probly nose dive. when people gets poorer, crime will sky rocket. death penalty, federalismo, digong getting emergency powers, and with pork barrels being resurrected, my goodness! we should thrash this federalismo. bin it. If it is an unholy alliance it should be named “Kilusang Bagong Lipunan ng Pagbabago. sorry po, my funny bone says dapat the name should have been ‘kilusang bagong lipunan ng mga mababaho’. If we or others corrupt the word ‘Bagong’ . . . it become ‘Bagoong’ – still smelly at mababaho! Yasay said the it because of UN rapporteur’s reports (without proof daw) on EJK and US’s aide was hold. He also blame the media on making reports. But … PH will not make any protest against china in deploying weapons in the disputed island. Why? ‘Walang corruption dyan sa pera raffle!’ . . . sabi ng mga ilan lowroguemen. too much money floating around! may I suggest the money be donated to rebuilding butig in lanao del sur? basag ang infrastructures dyan, school buildings unsafe na, hospitals pulverized, roads sobrang lubak-lubak yong kalabaw nga ayaw dumaan. people of butig need to kickstart their livelihood. hor (whore!) house of rep ought to give cheer and give the money to lanao’s poor. going to europe, it’s nearly the same misery they’ll see there as in pinas. there’s too much refugees in europe, some resorted to selling themselves to ilk a living. masyadong mahal ang mga bibilhin duon, eating out in restos may cost an arm and a leg! the sights maybe memorable, pero maraming pickpockets in cities. long haul flights is torturous. lucky if the carrier is not full, but if full, with crying children around, por bida, you need lots of patience. magaling ipagyabang sa facebook at instagram ang mga pics taken in europe, but deep down, there’s no place like home. help the needy here, spend the money here and boost our own economy. big money coming from floriendo kuno, big supporter ni digong itong si floriendo. namigay lang yata ng bonus si floriendo thanking hor reps (whore sons) na sina roque, castro at farinas for having trivialized (sexualized) de lima. cant find drug link kasi, kaya nag-below na belt na lang sila. hor sound so much like whore, maybe because it’s inhabited by whore sons. http://usa.inquirer.net/466/expose-dutertes-demonic-lies-brutality-protect-filipinos. I want to share this link with you who are for decency and uprightness. IMO, it clearly illustrates the situation we are in right now which is slowly eroding the basic core of the moral fiber of our society. thanks for the link, po. I think, people should stop patronizing digong’s fisted salute. blow kisses instead, and biso-biso like what those people in the middle east do when they see one another, they biso-biso, sometimes hugged one another and pat each other on the back too, but no fisted salute. showing respect as in bowing is good too. In Russia . . . LIPS-to- LIPS with the other GUYS!
. . . bear the Vodka smell too! in new zealand, the maoris greet people by doing the haka, a sort of war dance. other times, they greet people not by shaking hands, but by rubbing their noses together. Duterte is not our biggest problem. Tyranny is not possible without collaborators but neither the collaborators are our biggest problem. Our problem is that we speak as separate and individual voices in the face of a united and organized evil. Our problem is the division in our society which we ignore- the ever widening chasm between the lucky few and the unfortunate many. Our problem is our failure to achieve genuine solidarity with our fellow countrymen. It is just as if we are really more concerned about ourselves. Every summary execution, every EJK reported is an occasion to criticize the government – in behalf of the victims. Yet our first task should have been to give comfort and solace to the victims. But how many are willing to do that? Imagine the power of our voices expressing outrage and crying for justice together. It is the union of the mind and heart. The mind of the concerned and the heart of the victims combined. No matter how righteous our indignation, no matter how courageous we stand, victory will remain elusive for as long as we are not united. We want to solve a problem like Duterte? Let us then first attend to his victims. No one loves to LEAD and be a LEADER. If, halimbawa, I LEAD and NO ONE follows me, I am a TARGET for killing or elimination by the other force. I will be the criminal. If my leading is successful, I am the LEADER and might be the heroe. For how long, I don’t know. I am concerned about myself too! Who Wants To Lead? 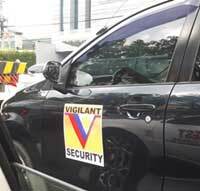 Yun mga VIP in the opposition? Wala! Bakit? Takot! One only live once and not twice.
. . . Btw, the village man who shot and killed dictator Khadaffi of Libya who was trying to escape, is a heroe in his Village because d.K. ordered a bombing in that Village where men, women and children were killed. Bihira ‘o wala ng mga Katipuneros! ngayun. those who want to help but dont want to be seen and be stigmatized, pls help in anyway you can. and support those at the forefront like de lima and trillanes. give them info, give them feelers, smooth the way for them. help undermine the crazies, write, write, write in blogs, in facebook, etc. plant a seed and it will grow. start showing your displeasure at the stupidities committed by digong’s admin. ask questions, and if you’re not satisfied with the answer, ask again only respectfully. network and join discourses and dont be fobbed off by the loudmouths. being respectful does not mean you’re weak. you dont have to shout and scream and hurl abuses at people, burn buildings and bomb people. work unobtrusively, smile instead of cursing, and show kindness. if you see others being abused, step in, but if you dont want your nose bloodied, take picture and document the abuse, and upload it in the internet. expose the bullies.
. . . 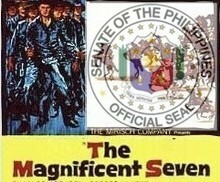 The Armed Forces of the Philippines is the protector of the people and the State. Its goal is to secure the sovereignty of the State and the integrity of the national territory. HELP the civilians – the People. Out of topic, but are you tech savvy or any CPMer out there who is? There are news video clips with sound in the internet of people – children, women, fathers, mothers- weeping and wailing, calling out to their dead kin who have fallen victims of summary execution. Is there a way to turn these sound into ringtone so that people will be reminded of the grief that these killings cause to people? When people eventually come together and march in unity to speak out against these killings, they can also be used to haunt the culprits. This is just an idea and suggestion. But we have to do all that we can within our own little abilities. imo, whoever is in position who is screwing the people are to blame because they are supposed to be lead, not mislead. cant blame the people except for those conniving, getting paid, with those in power. people with average and below average IQ is a lot more than the smart ones. despite this, the people voted quite smartly for pnoy but look at what pnoy did. in the US, it is said that 70% of the population has average IQ and that’s a lot. it is probably even more here. Philippine economy is on a roll, downward, due to 3 inter-related bad news in one day, Dec 15, 2016. 1. Duterte Administration refused to allow UN Rapporteur to investigate EJK in 2017 because DFA Sec Yasay insists on Commissioner Camallard to debate Duterte while in the Philippines on drug related killings and human rights. 2. US Millenial Grant Agency deferred the modernization and Poverty alleviation grant to the Philippines amounting to almost half a billion DOLLARS due to the issue of following Human Rights Law. 3. US Federal agency increased the interest rate on loan affecting the Philippine stock market and peso exchange rate. How stubborn is Yasay to please Duterte by insisting that the UN Rapporteur must accomodate the wish of Duterte to debate the issues concerned since the UN mission is to investigate, not to engage in debate. Half a billion US dollars is equivalent to 25 billion pesos which is to be used to modernize the equipments of government agencies specifically BIR and Dept of Agriculture including road construction of rural farms to market benefitting our poor farmers. Increase interest rate decided by Feds dropped peso exchange to 50:$1. When peso exchange rate is higher, cost of foreign goods will become expensive. Bank loans by companies and corporations providing jobs will be costlier. When the profits of public corporations are threatened, their stock values decrease. Commodities and imported food supplies will cost more. More farmers ability to transport their crops will be delayed for lack of new roads intended by Millenial grants. BIR modernization to catch tax evaders especially cheating rich businessmen hoarding their supplies and price gouging the public. Duterte was warned that after US election US aid to Philippines would be looked at after his verbal abuse on Obama. He was stubborn because of his tunnel vision that ridding drugs and criminality in the country is the only solution Filipinos are looking for to make them adore him with high approval survey rating. It’s the economy too, stupid! Duterte can now prove to the Doofus his boastful promise that the Philippines doesn’t need US aid. America has accepted his challenge with the deferment of almost $500 million intended for the modernization of government agencies and rural roads. Yasay is a typical lapdog of Duterte. Today, Andanar gave an ambush interview in Singapore and told the Press: Don’t believe literally what Pres Duterte says”. Andanar was referring to the speech of Duterte that while Davao mayor ” he used to roam Davao streets looking for criminals to kill to prove to the police that if he can do it, policemen can also do it” in other words, Duterte was setting example for the policemen to follow. Andanar must be addressing the Military men and policemen. In July to Sept, Duterte was roaming the countryside military forts and police headquarters promising them to double their salary by this Christmas. They did not get their raise as of today. MILITARY AND POLICEMEN, DID YOU HEAR SEC ANDANAR? the military have copied digong’s fisted salute, that’s all they’re getting, the suckers! they were promised money, and gotten themselves a salute only. serves them right for being gullible. “Power is okay, and stupidity is usually harmless. Power and stupidity together are dangerous”. Unfortunately, suckers like many pyramid scam victims realize and acknowledged that they’ve been had only on the day they realize that they will never get their money back. And then they cry Help! If I may ask, how many people you personally know have changed their mind about Duterte and regretted having voted for him? popularity of Du30 has not waned because there are many who are contented cows feeling secured in their homes. Unfortunately, most of these people belong to different sectors of society, rich, middle class, poor. To them peace of mind in their neighborhood is paramount. Until, they start feeling the effects of poor economy they will be hard to sway. Righteousness is personal level. One is happy if not affected or felt relief by the angst of unsafe environment. I don’t disagree with their attitude because crime and drug menace were deterred. Petty crimes committed by drug addicts in small towns and cities abated. Only the righteousness of method is questionable to others. That’s the only plus side of his quest. Many Duterte voters have not changed their minds because of this positive side. Duterte cursing, poor professionalism or swearing habits are minor issues to them. When the consequences become negative factors to their daily lives, they will turn around. They are still extending Duterte’s honeymoon period. Remember PNoy. I remember posting that his honeymoon period would be 2 years(end of 2012), afterwards it would be downhill if his administration would not change direction with his KKK or one high profile politician(none) or tax evader(none)would be SENTENCED to jail. After this Feds raising of interest rate, Watch Real estate and auto markets and high bank mortgage interest rates. If their stocks start tanking causing condo homes bubble rupture, commodity prices are unaffordable to the masses, blaming Duterte will be forthcoming especially if Philippine human rights issue remains an international factor of the western world. 2017 is test run year. In my estimate, by the third quarter the answer to your question surfaces. sorry po, about tax evaders sentenced to jail, ang alam ko dyan, the ex tax commissioner kim henares is not really that interested in jailing tax evaders. she would rather they pay taxes kahit hulog-hulogan. few celebs who had been caught not paying the right amount of taxes have spoken to kim henares. they were shown leniency yata, and got to pay rearrers and back taxes hulog-hulogan. it’s better than being jailed. Thanks for your insights. I agree with you. I myself have talked to people who were harassed by the local hoodlums in their community and who could only feel relief that these hoodlums became statistics in the war on crime and drugs. But this new found security is at best illusory and what a steep price we have to pay for that. While people cheer and applaud the killings, they have allowed their best killer president ever to virtually give up part of their territory. They have allowed the police to act with impunity and become a criminal organization. They have allowed a mortal blow to the constitution by exempting their president from it and greenlighting him to put us in chains. They have allowed the return of kleptocracy and swallowed the imposition of a fake history. You yourself had said that crime has become widespread because many members of the police, barangays, local governments and the judiciary have become criminal themselves. Yet they seem to be overlooked in this current bloody war on corruption, crime and drugs. A friend commented that people do not realize that we are all just like fishes in a tank in an Chinese restaurant. Whenever one fish is taken, we feel relief that the tank becomes less congested. But we do not realize that eventually we will all be slaughtered. We can not simply wait for things to happen as we wish them to happen. We must do something now where we are. The president is to far away but the people who support him are closer and we must start working with them. This is not an easy task. But if we can not change them, how much more can we change the president. As I have said, when the effects of economy start dawning on everyone’s pocketbook, change of heart begins. whether Duterte likes it or nor, US considers the Philippines as its territory. Philippines as a third world nation remains powerless against first rate countries.similarly, Russia has always considered that Chechnia is its territory. Duterte is playing “poker bluff” with US that he would turn to Russia and China. History reveals that US and Russia do not relinquish their territories, in fact these powerful nations intervene in the government of the small countries. Russia on Syria, US on Grenada, Haiti. Philippines would not be far behind. Duterte claims that US should not reprimand him because he is the leader of a sovereign nation. He wanted respect and equal treatment. He did not want to be lectured on human rights issue on his war on drugs and too much killing. That’s the right of Duterte but he forgot that the Philippines is a signatory on international law that if it wants foreign Philippines has to follow onditions of international laws before getting foreign aid. US and UN are reminding Duterte of their international obligation. Duterte detests the criticism making it his personal interest. Duterte is not a dictator but acts as one in replying to criticism. He is making a fool of himself crying while his cabinet members are pleading a different tune because they know that his pronouncement is dictatorial. Take the VFA. He cries the same tune to abolish when his own defense secretary before had already said that its a treaty that could not be easily revoked without Congress approval. Look at Millenial Challenge aid! Duterte says he does not need US aid for he will turn to Russia and China while his cabinet secretaries Dominguez and Yasay were saying that they hope US should reconsider the deferment of almost $500 million U.S. aid. About 3 months ago I posted that after US election, Obama would start pressuring the Philippines thru financial aid and trades because of Duterte’s public rebuke on Obama. Gauntlet has started to squeeze Duterte and it’s just the beginning. Duterte is praising Trump to his side but he is in for a surprise. Latest cyber spy rumor is that the next Immigration secretary of Trump will start looking on the immigration quotas reserved for Philippine nationals by correlating with Filipinos obtaining special working visas. Trump prefers Indian nationals in both aspects. Trump has ongoing billion dollar business contracts with Indian billionaires. That will be the surprise Duterte doesn’t want to hear because the revolt will be from the lower and middle class FIlipinos. and did not vote for him – 38,777,546.
and the 582,454now are still laughing and clapping. The 38,777,546 are now quiet. Watching. Listening. Reading. Waiting. For what, we don’t know? The above is the Filipino way for demokrazy in pres’l elections. Eternal bitterly THANKS to the 49 Delegates of the 1986 Constitutional Convention. Thank you Raissa and all the excellent contributors in your comment section for this information. 1. In APEC, to avoid Obama. You mean it’s more like “honey-I’ve-got-a-headache kind of thing? “honey-Am okay now-my next speech is EJK’ at Tawi-Tawi, Sulu’! Depends whatbrand of Fentanyl he bought. If it’s Actiq from Europe, drug dependency is a killer. In this case, Du30 is at home, it’s the killing kind. Posted quite a few times that Du30 is hanging by a thread for sudden death. So far, he was lucky as a cat. His 10th mightbe different ending. Duterte suffers from VASCULITIDES. Buerger Disease or Thromboangiitis Obliterans is thrombosis of inflamed blood vessels affecting the distal upper extremities. Duterte’ Buerger was precipitated by smoking, not only cigarettes but also marijuana. One theory on the etiology of VASCULITIDES is that it’s an “Autoimmune Disorder” and other diseases are clustered under this category. Some autoimmune diseases are treated symptomatically like cancer. Extreme Pain is the common symptom of cancer and autoimmune disease patients. Another VASCULITIDES known is Behcet’s Disease affecting the eyes, skin and genitalia in a triad fashion. Duterte by history also has signs of pockmarks of facial Acne and cold sores, eye and genital problems. Behcet late stage could affect the brain with symptoms of headache and psychotic episodes. Undoubtedly, everyone admits that Duterte is suffering from these. Most probably, Duterte already has suffered TIA or Bells Palsy with his obvious facial deviation which could be related to his VASCULITIDES. Fentanyl treats severe pain suffered by Cancer patients. Duterte was told his migraine is caused by a debilitating illness leading to death like cancer that’s why he was prescribed Fentanyl because simple migraine pills are no longer effective to his wretching symptoms. Johnny, your doctor coat is showing. imo, nagkaroon na ng kasagutan ang mga cofusing at contradicting na mga pronouncement ni bduts. may bagong tanong: magsabi naman kaya ng totoo ang sinumang doktor/siruhano na kinukunsulta para sa tunay na health condition ni bduts? kung ang sasagot ng tanong na ito ay si paandanar o si mucha oson o si sampanelo, o ang tulfing bros…alam na.
. . . a bad sleep. I’m not a surgeon. Is a spinal operation nowadays successful? What’s the percentage of success? Internet websites gives 70%-80% success. Success is dependent on many factors of course. As Raissa said Pres. Duterte should update the public on his present health. What does spinal surgeons he has consulted, if any, say about it and being the President?
. . . but not from any of his Cabinet members et. al. I agree to Raissa’s appeal. There is that ‘duty’ in his Oath of Office on this as the President.
. . . Fentanyl, the drug President Rodrigo Duterte used, is too strong to be immediately prescribed as a painkiller. But . . .
acapuncture may work for digong too. he could have asked close friend, chinese president xi jinping about the efficacy of chinese acapuncture. if digong is not afraid of long needles inserted into the body’s pressure points, acapuncture can kill pain. How very right you are @moonie! Acupuncture by reliable Chinese acupuncture experts made Western doctors wonder and surprised that with it a patient was operated without use of anesthesia! No crying out because there was NO pain while incision or cutting was done. But problem is – an operation on his spinal has to be done to fix it. If a nerve is cut, no pain but will he be normally alright afterwards? The health professionals will weigh benefits vs harm; evidence of success and side effects. Such procedures are high risk and can result in paralysis. enrile is the same, he has cornucopia of illnesseses and yet, he’s 92yrs old ang going strong! he was bailed on compassionate ground, he’s old kuno and sickly pa. and once out of jail, ang bilis niyang sumipot sa senado at nakipag-ebate duon. digong talks of his past illnesses not the current one, if ever he has one. he’s hypochondriac! a drama king who loves to play the sick role and relishes the attention given him. the body accommodates, digong is well looked after and functioning. for a 71yrs old, he is doing well. before, mantra niya – kill! kill! kill! and when people got tired of hearing him, nagbago ang mantra niya. ngayon, he is not well kuno and may not finish his term, pity him, woe is him. the grim reaper should pay him earlier visit, he, he, he. his cabinet sort of tell him to shut up, said he is well and okay. digong and his cabinet, they can’t both be truthful. one of them is lying. until they come up with the same story and be on the same page, it’s best to ignore them. people are confused enough already. 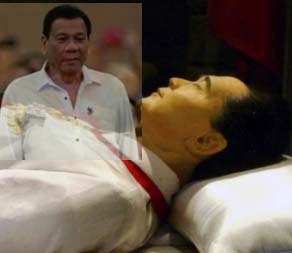 if digong died, then he’s dead and he’ll be buried. leona, digong will never know how better he could have been. such pessimist, he is, and refused the operation. it’s his body, his choice, his pain to bear. he was given option, but didn’t take it. risky kuno as if life is not risky, almost everything we do is risky. cross the street and you risk being run over by cars, get pregnant and you risk dying at childbirth, fall in love and you risk falling out of love. by being born, we risk dying. apparently, digong loves his pain and doesnt want to part with it. without pain, what will he talk about? how will he get the attention and sympathy of adoring people? digong wants 100% guarantee he’ll be alright after operation, gee, dont we all? even the best manufacturer of goods can only give 99% guarantee of their best products. it’s the 1% that cannot be guaranteed that is the worry. funny though how all faults falls into that 1%, therefore cannot be guaranteed. sorry po, for being cynical. When one goes under the knife, that guarantee is not yet reality. A story happened in a certain City. A patient has some problems with ‘his’ eyes. He could see but not 20/20. An EENT (eye ear nose throat) specialist put the guy under the knife. WHOA! The patient woke up HE COULDN’T SEE ANYMORE! Guarantee. But…yes, everyone takes a risk in life. KARAPATAN NANG BANSANG ETO AT NANG MAMAMAYANG PILIPINONG MALAMAN ANG TUNAY NA KALAGAYAN NANG KALUSUGAN NANG ISANG PRESIDENTE. HINDI PWEDENG SABI SABI ETO. AS WHAT WAS SAID BY THE AKBAYAN CNGRESSMAN. DOCTOR FROM PGH WILL THOROUGHLY EXAMINE DUTERTE AND A MEDICAL BULLETIN WILL BE REPEASE BY MALACANANG REGARDING THE TRUE HEAL SITUATION OF THE PRESIDENT. SA TINGIN KO GRABE NA YAN. SA EDAD NIYANG YAN LALABAS NA TALAGA ANG LAHAT NANG SAKIT. you are right. PGH and/or VMMC doctors can thoroughly examine the du30 and publish health bulletin regularly to update his health status. ang tanong, baka magkagaya din kay gloria arroyo. pagkalabas ng vmmc biglang nawala ang brace at naging malusog. dati, spinal problem din meron si gloria arroyo, just as digong is having spinal problem too. maybe, if gloria’s wheel chair is still around, digong can use it too. they both may even be seen by the same doctors as well. bduts hate and anger vi a vis corrupts and corruption is confusing. By his own admission on several occasions, Duterte has a serious medical condition (I will try to be compassionate and not use the word ‘sick’ because of its double-meaning.) And during his visit to Cambodia on December 14, 2016 Duterte said that he is old and may not be around to finish his term. Yet for an old person, he is 71 years, with serious medical condition that is sure to slow and wear him down, Duterte has been traveling a lot in the six months since he assumed the presidency. He has been to China, Japan, Indonesia, Vietnam, Laos, Cambodia (and Singapore by this posting date). It certainly takes months of preparations and consultations with foreign authorities for these foreign travels to become productive and meaningful. Meanwhile Duterte, being a new president with no prior national government experience, has a new learning curve to tackle at home that will consume most of his time and our pressing national problems demand his full time and attention. I have not heard of any Philippine president, or foreign president for that matter, that embarked on state visits or foreign trips within the six-month period of their assumption of their presidency. Are these foreign trips, at this very early stage of his presidency, really necessary and beneficial to our country? Or, are Duterte’s foreign trips simply junkets to burnish his image abroad, or perhaps to enjoy the experience early on because ‘he may not be around to finish his term’ ? Or, are parts of his foreign travels characterized as “state visits’ might actually be for seeking medical consultation or treatment for his medical condition? Wasn’t he in New Zealand also where he announced, “i love australia!” And expressing also how he would love to “migrate” there. Dahil sa kanyang pag-inom ng mga tabletang ‘opioids’ tulad ng Fentanyl at iba pang morphines dahil sa kanyang problema sa spine at chronic migraine, eh naging addict na rin si Duterte. Addicted na si Duterte sa mga painkillers at ang side effect pa noon ay naapektuhan pa ang paglala ng kanyang insanity at dahil dati ng may sayad oh psychosis eh mas grabe ang atake sa pagkasira ng ulo. Naghahallucinate at paranoid na pag inaatake. Kalimitan akala nya demonyo ang mga taong nakapaligid sa kanya. Si Bong Go ang may hawak ng lahat ng medications ni Duterte. Yung kalahati eh sa migraine at sa spine, yung kalahati para sa kanyang psychosis at may anti-depressants pa.
Kung ang iba nating mga kababayan ay na-addict sa shabu si Duterte naman ay sa mga opioids. At isa pa ay ang pagka addict ni Duterte sa pagpatay at pagdanak ng dugo. Ngayon na alam nyo na na addict din ang ating Presidente, mukhang grabe ang hypocrisy dahil ang tingin nya sa mga addict eh subhuman. In addition may sakit din si Duterte sa puso. Please don’t be surprised, may puso din ang ating mass murderer na pangulo. Pero ang isang pwedeng tumepok kay Duterte ay stroke. that’s the problem with digong, addicted to painkillers and kept under tight leash by bungo bong go. kung may legal wife lang sana si digong, bungo bong go would have competition. she could insist on digong taking leave of absence, his health more important to her than power. now, bungo rules the country and digong is just a prop. gotta keep digong alive and about, else bungo is nothing and leni takes over. I’m not sure if there is legal agreement between bong go and digong something like guardianship and health directives for older adults. in case digong is incapacitated, bong go will be making decisions for him, healthwise, moneywise, etc. with all the millions or even billions of du30 and marcoses hindi mahirap na ipa facelift din si bong go para magkamukha sila ni du30. indi imposible na mangyari ito dahil si bbm ay product din yan noong nag-aaral pa sya sa london. Yes, it’s our right to know the real score insofar as Digong’s health is concerned. If he’s addicted to Fentanyl, his physicians should wean him away from such addiction. Digong is clearly sick. To what degree, we don’t know. And this should be made known to the Filipino people for transparency’s sake so that they aren’t caught by ‘surprise’, with ambitious politicians pulling their own ‘surprises’ to grab power. In the meantime, it is also our duty to wish him well and pray for a better health for him. methink, digong may have given enduring power of attorney to bong go, making bong go his guardian and ultimately, rule as president on digong’s behalf. all bong go has to do is ensure digong stay alive, heard and seen no matter how gibberish, or erratic, for the 6yrs presidential term: vertical not horizontal no matter what. but, of course, we would be last to know if digong has indeed given enduring power of attorney to bong go. gotta keep us all in ignorance, so digong’s cabinet can go on their merry ways for a very long time, hiring and firing, and spending money, such good life. joe, sorry, but there are times when doctors wont wean him from fentanyl addiction, specially if he is nearing end of life. they’ll give him all the fentanyl he needs if that makes him comfortable. quality of life, they call it. make his last days as pleasant as possible. but if he goes into arrest, doctors will just let him go. no point in giving more intervention. he’s beyond the point. Or could be part of the ‘zarzuela’. You never know what’s going on with Duterte. He saya things to get the Filipinos’ sentiments, emotions. Seeking for ‘awa’ to distract the questioning trend that’s been going on since the Marcos burial fiasco by talking about his pains future burial wishes etc. It’s all the same hogwash to keep his trust rating high. We could just wait and see what happens next because ‘the end’ is one thing he could not and would not have any control with no matter how much he fabricates information. I agree with you. In Dutertespeak, what is said is equally important as what is unsaid. Denial is confirmation and statements are subject to divination. In fairness, this has been a practice of traditional politicians. Like Gloria Arroyo saying in a dramatic fashion of her plan not to run for the presidency as a sacrifice to unite the nation. And she even chose Rizal Day to make that blatant lie. Or Manny Pacquiao saying that once elected to office, he will retire from boxing but promptly forgetting this promise as if his word means nothing. And now we know- his words have no value. So when Duterte says something, we should all be wary and wonder what is behind his words. When he admited to being sick, is it to focus our attention to his illness and distract us from noticing a more sinister design? When he says that reds will die for him, we should not simply dismiss this as hyperbole. There might be good news here. Why will he count on the reds to die for him when we have an Armed Force to do it for him when necessary. Maybe because he realizes that he can not force the professionals and true patriots in the military to support and serve a treacherous and by his own admission – a murderous – president. Hindi lahat ng Pilipino nasisilaw ng pera o kapangyarihan. If you’re going to come to my blog just to post a comment bashing or cursing me, so sorry. you can only post here if you want to argue your position. he he he. may nawalan ng Christmas bonus. Mas mahal yata bayad pag dito naka troll. digong was the original riding in tandem killer. How can you be so sure about that? Are you riding with him? did you understand the like above? it says, digong goes around davao in his big bike patrolling the streets and looking for trouble, and looking for confrontation to kill. Didn’tbyou underdtand what you wrote? Riding in tandem means 2 persons not one. sa mga photos ay dalawa lagi ang nakikita ko. imaginary friends, ghost employees sa dabaw, digong got them all! imaginary friends, imaginary voice… remember what he said while riding on an airplane? Don’t be so stupid. You should know what the above comment’s reference was – Duterte saying it himself that he goes around in his Harley to look for trouble and personally kill the drug addicts while he was mayor of Davao City. You are a Duterte supporter so you should know his latest pronouncements, joke and braggings. If you cannot understand his simple wordings, you have problems in your mental ability. Your source is ABS- CBN…are you kidding me, that network has been twisting and putting words into PDU30’s mouth since the election. and your source is…? why should I believe you then? what are your credentials, ahem. andrewlim8 if a commenter here, there is difference between commenters and trolls. Videos from live news Mr. John of the Cross don’t lie. Some of these journalists/ reportets present are from foreign news network so that its veracity is extremely, carefully checked before it is broadcasted published. You should know that by now if you are intelligent enough. Sir Juan Dela Cruz … if your are right .. then why will Sen Gordon and even Sec Aguirre reacted on this? digong knew himself well. maybe his own doctor has told him what he is up against. at 72 going on 21, nah, digong can’t do it. his body is worn out and instead of retiring, he’s taken on a very hectic job best suited to a younger person, healthier and with stamina. the job is a killer. people around digong knew he wont last long, kaya nag-money grab, availing themselves the best jobs. Can you name at least one of these money grabbers. 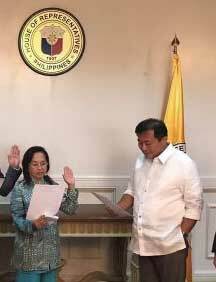 yong tatlong appointees ni aquirre, sina calima, robles at argosino. The lawyer of the Killers of the Mindanao massacre, the one who wears a wig acting like an English counsel at the bench, poor little running mate who had to do with crumbs left by everybody how’s that for a wise guess eh? the wigged one felt betrayed kuno. Bongbong is not money grabber. . . just MONEY KEEPER lang! Fifty times more potent does not mean fifty times more addictive. Using an opioid for pain does not mean you are an addict but hey, anything to push your agenda right? Did I call anyone an addict? Don’t let your bias fog your brain. Aren’t you concerned even one bit that he is in great pain and he needs to take a drug that’s 50 times more powerful than heroin? Hey, I didn’t make that up. click on all the links I provided. Did you consult a doctor, specialist in pain management or a pharmacologist … or just internet links? Just askin.
. . . do you still need, as a journalist or reader of news, to CONSULT a doctor on pain management or what? What for? Admitted na! Of course everyone, who knows consults Internet links! Did you, btw – consult a doctor to tell you Raissa needs to consult a doctor to know pain management bla bla? You did not! You went o Internet links immediately! Millions of people, worldwide, are ‘drug dependent’ … including me. I take a statin every night … and will continue to do so for the rest of my life. Otherwise, I’m doing fine … good judgement, etc. The issue here is more specifically that Ms. Robles has implied, rhetorical question notwithstanding, that the President is drug dependent. For the sake of argument, let’s say he is … and he joins the millions of other people around the world who are drug dependent, many of whom for a damn good reason. But … it’s Fentanyl … and Fentanyl has a very bad reputation in several well known contexts. So, the big question is …. is the President’s use, under the direction of a physician … to alleviate chronic pain … make him prone to atypical mood, reasoning or judgement disabilities … rendering him unfit and/or unable to lead … lest he lead men recklessly into battle with great loss of life? A doctor’s consultation, indeed the president’s doctor, may shed more light on that … certainly more light than The Guardian. The rest is just mere speculation, indeed, drama. Is that what you’re here for? What makes you think that the president or the president’s MD would give out specifics of his Fentanyl (ab)use now that it has piqued the public’s interest? Do you really expect a truthful answer when another “misconstrued”, “exaggeration”, “out of context”, “hyperbole” excuse will do just fine? If I found out that the president was indeed ‘abusing’ prescription drugs, I would be very concerned. Furthermore, if I found out that his prescription drug use/abuse had substantial deleterious effects on his mental faculties … rendering him unfit to lead/govern, I would hope that he would stand down. Until that time, should it occur, or until a time when there is considerably more substantive evidence corroborating the aforementioned ‘perceived’ drug abuse by the president, people will have to live with a certain degree of uncertainty and the anxiety that may yield for them. And you’re ok living with this uncertainty and anxiety? You’re ok with having a president who is at the very core a lie? Take for example the DDS. He his on the record that he is the DDS. You ask around the poor folk (and the rich folk too especially when they’re well connected) in Davao and they’ll talk about the death squads hesitantly if not with outright fear. When people began investigating the DDS, he spun it to mean Davao Development System and that the killings are just a rumor – or the reds are doing it in his city, etc. Now that he’s won, the DDS has taken another form as Duterte Diehard Supporters and it’s spreading its special blend of hate, fear and misinformation all over the internet. Thousands of people are dying around you. Thousands of SUSPECTS. Do you like living in this anxiety and fear? On the back cover, under “About the Author”, it mentions that this blog, on which I now type, was awarded recognition as, “Best Society and Politics Blog in the Philippines.” That’s why I joined this blog … I anticipated intelligent, well-researched, well written articles along with spirited, intelligent, respectful, balanced debate. Hey, maybe I’m in the wrong place. If this is meant to be a Duerte whipping zone … and no reasonable dissenting views will be tolerated, I should perhaps pack my bags and move on. This does not mean that I necessarily support the president. For example, I fully disagree with his stance on the F. Marcos burial fiasco. My postings over the last 24 hours are linked to Ms. Robles ‘latest article only’ … I have seen and applauded other articles of hers that were far superior, hence far more valuable to political causes in the public domain. As well, I was disappointed with her reaction to one poster (Facebook feed) … who asked a very reasonable question (similar to mine, actually) … “Did you consult any medical practitoners on this issue?” Ms. Robles terse response was, “You didn’t even read the article; you’re just yakking.” When the poster replied that she indeed had read the article ……………….. crickets. So, I’m not on here to big D defend any particular politician; just wandering if I’m in the right place to have a decent, respectful discussion. (aside from 21/08/71) that’s the historical legacy of Plaza Miranda, di ba? try raising, not lowering, your standards. What is she going to ask a medical practitioner exactly? Is it ok to have a president who self medicated (abused) 4x the prescribed dose of the drug? Is it ok to have a head of state to have to rely on mind altering, heavily regulated meds to manage the pain? Is the president’s speech pattern and incoherent ramblings reminiscent of someone with opiod dependence? The most recent press release said that the president was “in the pink of health”. That kinda runs counter to his previous disclosure that he has Barrett’s esophagus and Beurger’s disease. It’s another lie and another spin. Ngayon nadulas na naman sya at nagmalaki pang gumamit sya ng Fentanyl to manage his pain. Well, pink of health my foot. I bet you a million Dutertedollars that he’s going to spin this Fentanyl issue like he does any other issue that may damage the image of his administration. In the end sasabihin nila hyperbole lang yan, malakas pa sa kalabaw si Duts, and instead of Fentanyl, Paracetamol lang iniinom cause you know “president is in the pink of health”. Did that bring us any closer to the truth? You enjoyed Raissa’s book? Like how someone enjoys Grisham? Hmm. Her book shook me to the core. It read like a Pol Pot and Khmer Rouge biography but hurt a lot more since the Filipinos were the victims and the Philippines will continue to suffer because of the grand travesty. That was enjoyable? Here’s a link showing how serious the drug’s use is and the present, ongoing side effects and how fatal it could be whether from accidental or intentional it maybe. I pick this link for it has the video and testimonials from the users and from professionals who understand what the drug is all about. We can all argue and fight for all we care, but this is a very important and urgent matter to talk about. In fact, I feel the pain of the president now, and understand that he really wanted to eradicate the menace of drugs mostly the users who are already mind altered and killed innocent victims mostly their immediate relatives. Perhaps, he really knows the demonic things these addicts are capable of doing to people and trying to approve killing is the easiest way to do, at least on what he says is his limited time to make a legacy… that is lessen drug users (Dead), never mind the drug pushers or suppliers for if the users are subdued , then suppliers will no longer be in business imo. The lawmakers aren’t any help at all for they are concerned and busy with other things to make themselves rich.,,sad. 1) Presidential candidates to undergo drug test AS REQ. prior to running like in boxing ala PAQUIAO. -they might as well, arrest Do30 and his handlers with drugs at the airport, huh! 3)This is a very urgent and serious time that the houses should have the emergency meeting to discuss properly because it is a national interest, life and death situation, a priority of a leadership transfer legitimacy. 4)I suggest to make a plea /an open letter to the president to make it right and that the Filipinos are compassionate on all the severe pains he is going through, wouldn’t it lessen his burdens if he give up the stress and pain for the sake of the nation, and mostly to end his pain and suffering? Heal himself , the people and the nation. This would be the most powerful pain killer he would ever need… to take. As I’ve said here, I am( was told ) a conduit as a healer albeit a reluctant one, and I wish and (pray not prey) a time-long of divine healing and lessening of the president’s chronic pain, I know, for I can feel the others pain. So with Raissa, with her pen and that expanded patience and ability to write the truth fearlessly. I hope this time is a whole lot of forgiving and understanding. We can’t change(heal) a soul’s path and destination , but we can offer an earthly love and a gentle push,, hey, we love you, you are awesome. ah, that ‘gentle push’ i like. A link during the time of the late Mayor Ford when he was stripped of power to rule the council and the city. I voted for him at that time for he was a smart and nice person despite, and he is also helpful to the poor of any culture and he did not in any way ordered or wished anyone dead or be killed. RIP. My concern is about reading a number of senators giving D030 emergency powers now that he admitted that he is under the influenced of the potent Fentanyl and other mixed salads of painkillers. What maybe the legal consequences he has and the senators giving him power for “what” ?? that he and those could face? The people and others who are watching should know what is going on and be vigilant what is the power they are bestowing to a president whose physical and emotional and mental well being and judgement are questionable. Isn’t Honeylet Avan cena (DU30’s common-law-wife) a nurse? She probably administers the medication that is why he goes back to Davao on weekend. Ngayon ay parang nagkaka dugtong-dugtong na ang mga pangyayari na dati ay isang issue lamang kung titignan. Kung sya ay drug depended sa isang klase ng gamot, kung ito man ay parang maintenance or curing effect kailangan nga nya umuwi sa Davao on a regular basis. Una, dahil anduon ang mga gamot nya, ang CLW nya ang nagtatago or nagbibigay ng mga ito. Kapag nasa labas or byahe ay si bong c naman. Mas kunting tao ang makakaalam sa mga gamot na iniinum nya mas mabuti. Kaya di sya nagpupunta sa mga hospital na sya ang normal na gagawin ng ibang presidente. Pangalawa, sabihin nya na mag 2nd Malacanang sa Davao at duon sya mag opisina. Di pala yun ang tunay na dahilan. Dahil kailangan nya umuwi palagi para sa mga gamot nya. I think, there’s a difference between an enrolled nurse and a registered nurse. a registered nurse is the one licensed, therefore, allowed to dispense medication. an enrolled nurse is like a caregiver, and cannot dispense medicine. one goes to university while the other goes to vocational school or community college. there is also difference in subject matters. there is also a clinical nurse consultant, he/she’s higher in rank and sometimes equals that of a doctor. clinical nurse consultant gets paid more, has more responsibility and sometimes governs the whole ward. @curveball. . . that’s so high-in-the air expensive to reach for his medicines! May punto ka ’cause no one has seen the President or Bong Go going to a hospital or drug store in Metro Manila buy those medicines. Or has any Mercury drug rep been seen going inside the Palace? he, he, he, digong’s appointee, dr ubial, is digong’s drug courier. she can get all the drugs for him, on demand. ubial has the ways and means. @duquemarino. . . I do not know if ‘She’ is also a nurse. What believe to know is Ma’m Zimmermann is a nurse as the ‘wife’ referred to. Who was the President referring to really? . . . I do not know also. If it is a brouhaha signed order. . . do not think anymore, except to do throwing it to the bin, unless you want to lose your job. Ha! Ha! Nobody wants to be jobless nowadays in the government. Dependence liability though for Fentanyl is very high thus it could also be addicting. digong has admitted self medicating, even over medicated himself too with 4x the prescribed dose, kaya kinagalitan ng doctor. 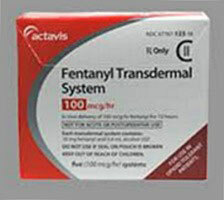 I think the fentanyl transdermal patch is prn sort of medication, to use only as required. digong must a supply of them in case they’re needed. more or less, we know when he uses fentanyl dahil he often complains of strong headache that incapacitate him. headache is one of fentanyl’s side effects usually happening within 30 minutes of application. those giving fentanyl patch to anyone is told to avoid touching the patch for the fentanyl can transfer to the one holding the patch. accidental touching can give one arrhythmia, irregular heart beats. kaya, if you that happens to you, wash your hands immediately. or wear gloves. and since digong has admitted to self medicating with 4x the prescribed dose, it’s no wonder the got bad side effects: loss of cognitive skills like awareness, perception, attention and memory, his language also got affected, naging gibberish. in short, digong has abused fentanyl medication, and as result, he lost some cognitive skills. There are many side effects of this drug that is why this is strictly controlled in many countries. Fentanyl patches are used to relieve severe pain in people who are expected to need pain medication around the clock for a long time and who cannot be treated with other medications. Fentanyl is in a class of medications called opiate (narcotic) analgesics. It works by changing the way the brain and nervous system respond to pain.Why is this medication prescribed? The risk that you will develop breathing problems may be higher if you are an older adult or are weak or malnourished due to disease. If you experience any of the following symptoms, call your doctor immediately or get emergency medical treatment: slowed breathing, long pauses between breaths, or shortness of breath. Fentanyl patches may cause serious or life-threatening breathing problems, especially during the first 24 to 72 hours of your treatment and any time your dose is increased. he risk that you will develop breathing problems may be higher if you are an older adult or are weak or malnourished due to disease. If you experience any of the following symptoms, call your doctor immediately or get emergency medical treatment: slowed breathing, long pauses between breaths, or shortness of breath. One of the more common side dffects of Fentanyl is hallucinations; DU30 must be hallucinating most of the time. digong wants bongbong marcos to succeed him. Go ahead FAINT. . . at least not due to FANTANYL! How does losing the election affects the brains of anti-duterte? Sam’s post is science, which cures ignorance. Your post is terrible English so the cure for that is… nothing because once you reach adulthood with such bad grammar, there is no cure. he, he, h e, maybe juan de la cruz could do with some fentanyl medication. bwahahaha..andrewlim you made my day ma men. you’re the man. it’s time to put these pretenders to their right places…isn’t that what we call syntax error? Sorry that i am not fluent in english. But wcan you understand this, testa di cazzo maledetto figlio di puttana, rasaisti ei merda! You’re banned from here. Bye. Juan! Stare sotto l’albero di mango. . . addio! So teach me good english grammar professor, . Ykou should know English is just a language not a measure of intelligence but maybe you wouldn’t understand. don’t [email protected], that lurker/troll closely watches this site. at nagpuputok ang butche dahil naririnig niya tayo, eh siya ay hindi. hehehe. sorry po, death does not come easily when you’re on fentanyl. it’s a controlled drug and given under strict supervision. 1st time you’re put on fentanyl, a nurse will observe you for the 15minutes or so, that’s when anaphylactic shock usually takes place, other than, you’re left to enjoy whatever nirvana it is you’re having. using prescribed fentanyl at home with cocktail of other drugs, the medley of these drugs maybe too much for the body to bear and you go into an arrest. and if you want to commit suicide and use all of your supply of fentanyl patches in one application, you might be disappointed. hindi kaya side effect ng fentanyl ang pagtutungayaw at cravings sa amoy patis? …and accompanied by hallucination and urge to insinuate killing? yes, highly possible ang mga yan. sometimes when digong is high on fentanyl, he sings! ikaw ang fave niya. IT’S A MIRACLE! YOUR SITE IS UP!!!! I used the word “drug dependent”, not “drug addict” because the latter has a connotation of using a thoroughly illegal substance, which Fentanyl is not for those who are in great pain. So yung mga nagtetake ng vallum and similar medications are dependents as well? The reason why there are controlled drugs by prescription is to regulate it and limit it to people who needs it. Illegal drugs is the other way around. There is that danger for those who take valium to become dependent, yes. You know how it is here in the Philippines. So long as you have the money, you can find a way to buy more of these controlled drugs. it’s very easy to get a stash of valium. people go from one doctor to another and get prescriptions, having 8 different doctors giving the same prescriptions is not unheard of. I would not buy valium in the black market dahil it could be tainted, o may kahalo. best to get valium from an accredited pharmacy or drugstore where you can be assure it’s not adulterated, and not out of date. ay non-sequitur yung mga banat mo. try not to be jologs please. With all due respect we have patients age ranging from 80-100 y.o. who is pescribed with Fentanyl. Can I call them drug addicts? As far as I know they are still alive, up and about. The plaster is good for 72 hours so it is changed every 3 days. I hope you will not experience a constant pain later in your life. “Drug dependent” is different from being a “drug addict”. I did not say that Duterte is drug dependent. I’m asking that question because Duterte is not your ordinary patient. Duterte is the Philippine president who needs to make life and death decisions. He can send men to battle. He can order men to be arrested and there is a probability they could be killed during the operation. Pain could affect his mood and even his judgement. Wishing me pain is a very unChristian and stupid thing to do. Duterte himself made all those revelations. The public has the right to be told about his true state of health. Can you diagnose his true state of health? Just askin. Easy. Just see how DU30 says one thing and his co-dependents explain what he meant. Actually nobody knows what he’s talking about even d’man himself. Sordid state of mind tawag doon. Not when Digong is so evasive and calls anyone who pry “ulol”. As Filipino citizens we have a right to know,not be insulted when we ask. Frankly he brought all this speculation on himself due to his lack of transparency. Duterte talked about dying for his country out of patriotism as he rallied the military in defending Philippine sovereignty. He just might ‘push’ the button [actually we don’t have a nuke for it] to bring this country to war to protect our territory, inadvertently at that, while under drug medication for fentanyl etc. It will be fentanylmicied like homicide for our soldiers and us. Who will ever know he made that error as Commander-In-Chief? So, trollymiciders, keep it up. This article is just to inform everyone and not to accuse unfairly someone who is a drug dependent as extra-judicially admitted -EJA. He is President and WE are the citizens-tax-payers to know and be protected. They aren’t president of the Philippines either. I pity him he must rtesign immediately! O C’mon. He need not resign. but he has to be more candid about his state of health and how it could affect his presidential decisions. Your article reveals, indeed, how candid he is about his health … his medications, doses, afflictions etc, di ba? Insufficient for a Philippine President. A thorough executive check up by medical doctors rather than bits and pieces is needed. Even FVR was transparent about this. He leaves too many gaps and holes where speculation can fill in. Resign? Why? So the incompetent alleged vp/magazine cover girl leni robledo could replace him. You got to be kidding us.Are you NUTS? “Jet lag”…”ill”??? “During the forum his explanation for not attending the dinner / photo op. in Peru was because he didn’t want to create an uncomfortable situation with Obama. So which is it? I’m no doctor, but perhaps his drug intake might explain his erratic behaviour. There were even reports that he collapsed. His headaches must be quite intense. What’s the truth about DU30’s state of health? In Lima, Peru, we have it on the best authority that PDU30 passed out or “collapsed” before his final APEC official dinner. This is why he failed to attend the dinner and the final commemorative shoot and had to be represented by Foreign Secretary Perfecto Yasay, Jr. Evasco and his undersecretary Delfin “Dale” Cabrera were meeting with a private group in Malacañang when they received the urgent bulletin from Lima about what happened. I heard of this story on the same day but decided not to write about it then. Presidential spokesman Ernesto Abella for his part explained that the President had to cancel previously approved meetings with some Bangladeshi officials, former President Gloria Macapagal Arroyo, former Chief Justice Renato Puno, Moro National Liberation Front founding chairman Nur Misuari and officers of the Integrated Bar of the Philippines because of some “pressing matters,” which were not mentioned. It was normal for Andanar and Abella to deny what happened. They did it with conviction——and I don’t blame them—- for they were not at the Borloloy building when it happened. According to our best sources, it happened in the morning without any warning. The President was reportedly in a huddle with Evasco, Cabrera and Bong Go when he suddenly lost his balance. Cabrera caught him as he threatened to fall, and he was quickly assisted by the others. The President was then taken to infirmary where the doctors checked him. Please read your three sentences again. Those sentences are ‘evidence’ of what? Before you jump to the conclusion that I am trolling, think again. You’re a trusted journalist. You keep that reputation by ‘keeping it real, right? I am a fan of yours, but this article … seriously … where are you going with it? It could be misconstrued as ‘gossip column’ fodder. You’re better than that. Don’t feed your readers junk food just to get hits. With all due respect, recalibrate. Hindi yan gossip! Dapat malaman yan ng mamamayan dahil apektado sa desisyon-making ng presidente. Di ba noong may sakit si Marcos nag-plot ang ibat-ibang factions sa mga alipures nya? Di ba sila Enrile/Honasan ninais magbuo ng military junta? Sina Imelda,Danding at Ver nauna ng kumilos? Anu-ano naman ang mga factions na nabubuo sa mga alipures ni Digong? I am merely suggesting that this particular blog entry is not one of Raissa’s best … rather weak, actually, with its innuendo, cut and paste rhetorical devices, etc. The Prince association made me lose a mouthful of coffee over my laptop. Is she suggesting that Rody wrote “Purple Rain” … or something more overdosy? I commend Raissa for most of her efforts … and have done so publicly, on this blog. As well, I have no vested interest in defending the president, if he messes up. As well, despite my support for Ms. Robles, I can’t support an article that appears somewhat jaundiced. I support good journalism and good governance, when it occurs. The issues of Marcos, Imelda, Koko, Ver, Enrile, Honasan, Ninoy, etc … I am with you 100%. BUT, you don’t infiltrate with purpose those big ticket issues though the current president’s pain meds. Regarding your comment on the “Prince association” and that it suggested Rody writing “Purple Rain”. You have a very wild imagination. My impression was that it was mentioned so that lay readers could better relate to how potentially deadly the drug is. Those three sentences weren’t part of a report/article. Merely comments as part of a discourse. Which pain can be unbearable and bearable: intense headache or intense tooth ache? The former is unbearable. One cannot sleep. The latter mayroon kaunting maka-tulog pa. The former can make one think of ending life. The latter can make one to remember brushing one’s teeth often. The odd behavior…now we know. If this is true, I don’t think Mr. Duterte is competent to do the functions of a president. Don’t judge him yet by his headaches. Let him explain to the Filipino people his true state of health. What you think doesn’t matter to the 16 million voters who voted for him. More like 17 million voted for him. Plus over 90% public approval rating. Yes he is that popular. But the thing is truth is not dependent on numbers. You can not defy the truth. You can only work with it. Duterte did not disclose his state of health when he was running for office even if it is to the public interest to do so. Given his poor state of health, there is a possibility that those in charge of his medication can take advantage of the situation and usurp power not given them. I remember he did say ‘I am already old. I am sick.’ bla bla. He could have decided not to run at all if he believed it honestly he is that sick. No, he went through and PEOPLE/voters forgot about his remarks he is really sick. So, isn’t worth that candidates for President and Vice-President should not only state their health but be certified to have good health? This is not included in the qualifications but it should be (next time around). As stated: It is to the PUBLIC INTEREST. Do you think poverty cares what 16million people think? economic stability? Unemployment? These issues require, at a bare minimum, a leader in possession of all his marbles. 16million people can’t simply vote to make our societal ills disappear. You don’t care about fixing our society, all you care about is being on the winning side. You mean angry Anti Duterte/Marcos. Because the pro Duterte/Marcos are satisfied with his performance in Only 6 months as the President of this country. No other president have accomplished what he has done for the good of every Filipinos. five times this year, once before became president and four times after he became president. i am worried if he really is ill.
the eagles behind him might take over him. How many ‘times x’ will he fall for 2 years? 3 years? Or 6 years? Marcos was referred to as the ‘Sick Man of Asia.’ What did we have? Sick country. . . 20 years at most. Candidates for President should be x-rayed or scanned before departure for the Palace. Exactly! No other president have accomplished what he has done. He killed thousand of Philippinos in just 6 months, no one can break his record. Is that praiseworthy for you or blameworthy? Excuse me Jem but have you forgotten all that has happened from 2010 to 2015 when penoy was president? How many innocent young girls have been kidnapped, raped then murdered at that time by shabu addicts, how many people have been robbed and killed by the infamois riding in tandem? Have you forgotten all of that. He killed thousands of people? Do you have proofs of that, did you see him pull the trigger himself? kailangan ba nating paniwalaang lahat ang mga revelations niya? ‘di ba joke lang naman yun? Maybe you saw him he did not pull the trigger! Who pulled the trigger then? You are too evidentiary. . . proofs? That’s in the courts of law. We are not yet there but here in the blog site of Raissa, ‘courting’ everyone’s OPN only. kaya pala seguro gusto ni psycho ng patayan kasi alam nya hinde na sya magtatagal sa mundong ito. pandamay! so, before he gets the final summon he thinks he should pay his utang-na-loob with the marcoses by giving mandaram…bong the vice presidency. this is my take…to all my cabinet men & appointees…mangurap kayo hanggat sa gusto nyo, bahala kayo..mamamatay na ako. at kay delima…she will be rotten in jail…hallucinating yata ako. ‘He thinks’ while under intense headaches. . . is an ache that asks for ending life. I just hope he is not totally into it? I had an aunt who had cancer of the brain. One kin told me that my aunt was gritting her teeth while her head was pushed backwards up when the pain in the head was so intense! I stopped listening further. Who wants to live in that situation? Aunt passed away. Rested finally. My apology but he must be a walking DRUGOMBIE! Gee. . . I wouldn’t want to be in his shoes now! Quitting now as President would reduce his drug dependency. Has his doctor advised him on that? Doctor! Better do it or his death is your fault. Malacombie yan. Personally, he wants to leave the office…soon..
@Luzviminda Balagtas. . . That might change soon. . . to call VP Leni for ‘Changing of the Guard’ soon. . . for the last time. . . for the good of the country. . . soon.
. . . then he leaves the office afterwards. God Saves the Philippines and the Filipinos. That explains it!!! Thanks Raissa.